Amethyst Frost was a group custom from last year. While frosts frequently get a bad name, this is the finish done right. It is highly reflective and the brush strokes are delicate and easy to control. Linear holographic shimmer in a pale amethyst-gray frost base. Three coats. Bronze Ingot was a custom made for me, and I love it! 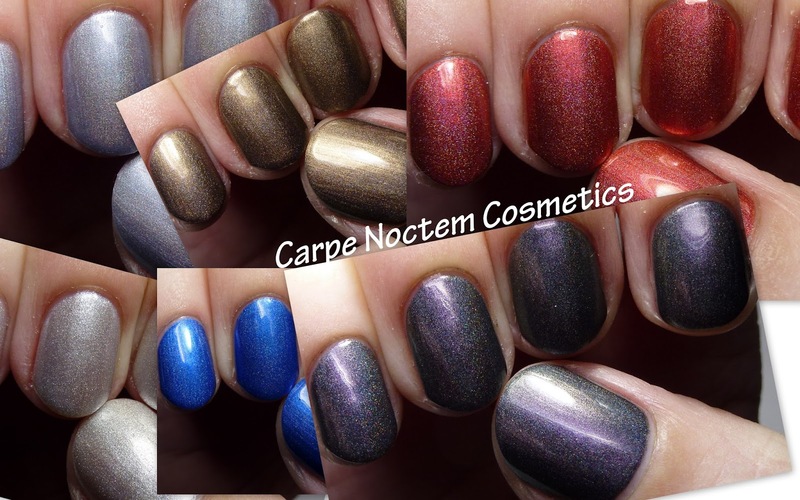 I requested jewel tone holos and let Emily surprise me with the colors. You can request this one via a custom listing if you want it. 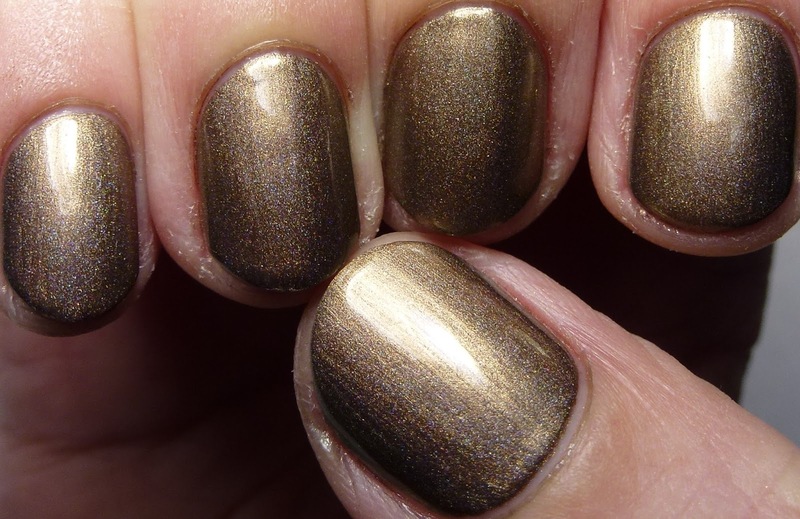 Linear holographic shimmer in a gold-bronze frost base. Three coats. Christmas was a gift with purchase during the Thanksgiving/Black Friday sale. I ordered my customs to qualify to get this beauty, too! Needless to say it was a fantastic mail day when it arrived. 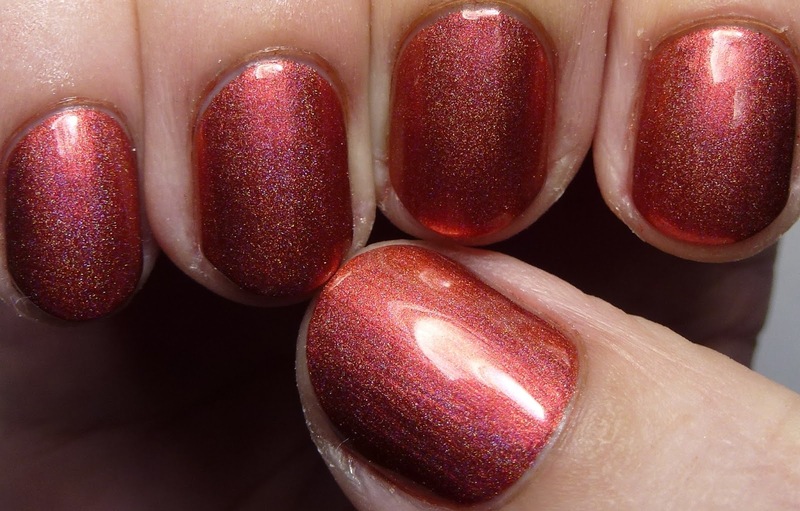 Linear holographic shimmer in a deep cinnabar red metallic frost base. Three coats. Christmas Morning was a 2013 holiday polish. It is no longer in the shop, but if you like it you may find it on the secondary market or request something similar as a custom. 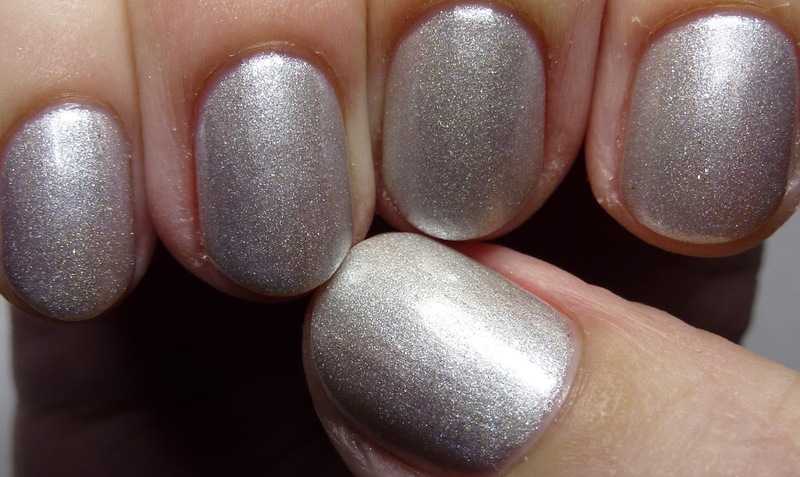 Scattered holographic and silver fleck shimmer in a clear base. Four coats. Crystal Nightfall is another of my customs. It is like the color Tardis but with holo as well, so it would be simple to order as a custom for yourself. 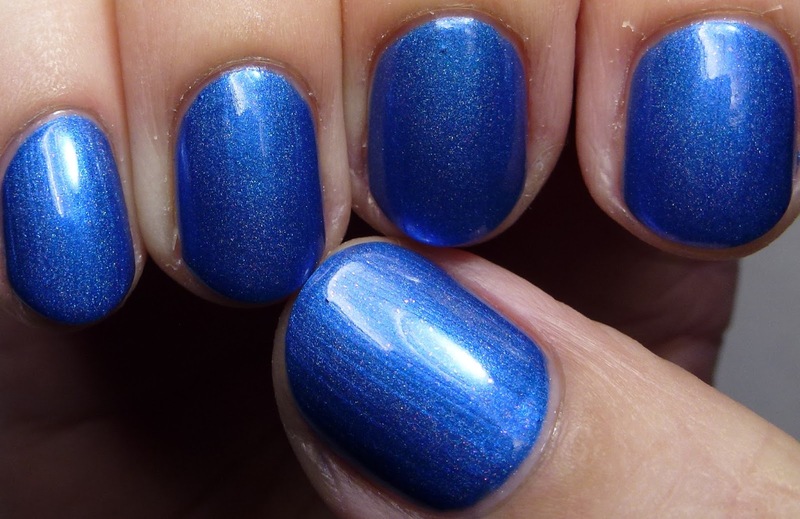 Scattered holographic shimmer and cool pink shimmer flecks in an electric blue frost base. Three coats. 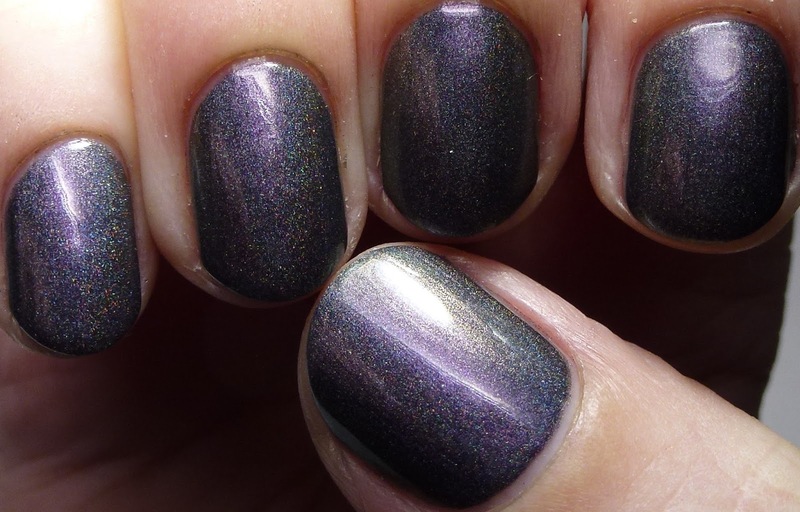 Don't Panic is definitely one of my favorites, a dark, complex multichrome holo. This one is still in the shop. I recommend it highly! 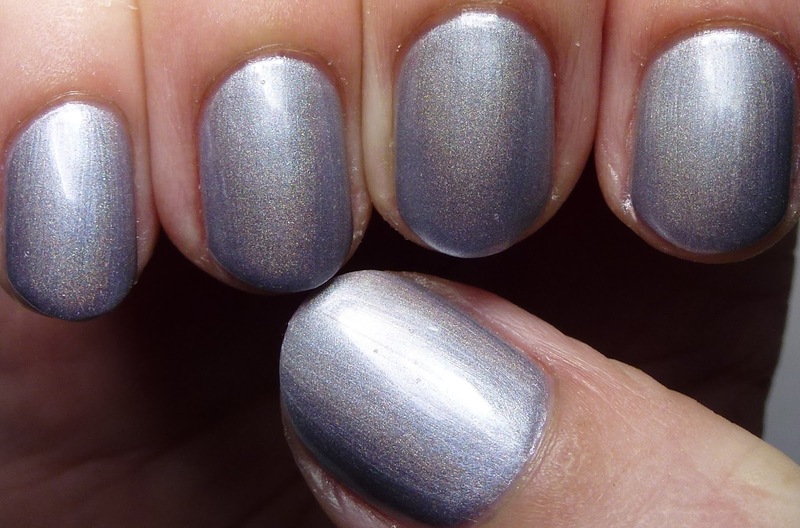 Linear holographic and multichrome lavender-to-teal color-shifting shimmer in a dark blue-gray base. Three coats.